After a brief hiatus, London-based ANMA Records is back with a fresh EP. We had the scoop on their sixth release almost a year back featuring a split EP from Will Lister and Trinidadiandeep, from whom we premiered a track as well. This time, ANMA have lined up US-based producer Appian for a three track EP entitled “Space Out” which also features a couple of remixes. 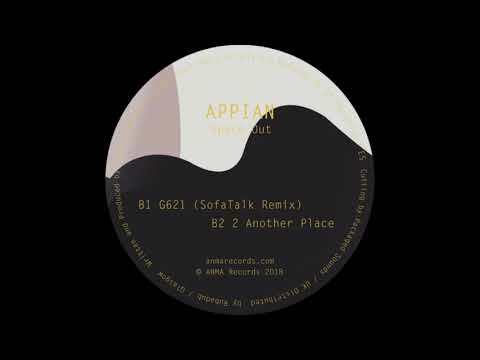 Today we’re going to shine a spotlight on the SofaTalk remix of G621. Whereas the original is an analog, breakbeat jam filled with bleepy synths, the remix crafted by the Italian has a more organic feel to it. Bringing some of his signature jazzy textures into the fold but still including some analog elements like the wonderful filtered moogy lead, he manages to flip the original into a spacey affair. A true remix that reimagines the original into a brand new piece and showcases SofaTalk’s innate musical abilities. You can check out the rest of the EP and pre-order it here. It also includes a bonus remix from Orlando Voorn.